When it comes to septic tanks and systems, it’s pretty much never a DIY situation. A malfunctioning septic system can contaminate Portland drinking water supplies and cause flooding, as well as create sewage backup and biohazardous situations. If you need a septic system installed, pumped or repaired, hiring a certified Portland, ME septic professional is a no-brainer. Here at D.L. Docko & Son LLC, we pride ourselves on our attention to detail and our high quality workmanship. We are a full service excavation and septic company with many long established customer relationships. 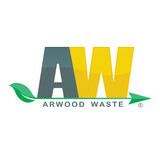 We believe that our commitment to quality, customer service, and timely job completion is our promise to our customers. We have built many strong relationships because of our work ethic and we will undoubtedly continue to do so! Call today! AAA Pump Service specializes in everything related to the pumps your sewer and septic systems use to move material through pipes. We understand pump systems and how they function. We help homeowners avoid installing the wrong new pump when replacing an existing one. We make sure you get the optimum size and power needed for your system. This is important! We care about our customers and want to make sure that all their sewerage pumps and systems work properly. Call AAA when your pump system fails, requires service, or you need a new pump. (603) 645-8610 We promise quick response, fast turnaround and your total satisfaction! Service plans can catch a problem before it stinks! Sewage pump stations sit in acidic environments that can wreak havoc on untended mechanical and electrical equipment. The best way to avoid unexpected problems (and expensive repairs) is to inspect for trouble before it happens. Call AAA for thorough inspections and accurate reports. Cleaning We clean wet wells and pump stations - thoroughly! Pumps and their controls sit in "wet wells" that require periodic cleanings apart from the larger sewage or septic system. AAA Pump Service Contracts keep your wet wells clean. Call us at (603) 645-8610 to discuss costs and a schedule that makes sense for your operation. Inspection Periodic wet well inspections prevent nasty surprises! Monitoring - Technology that keeps you informed Install an electronic sentinel in your system. Remote monitoring catches system failures right away. The monitor automatically telephones a technician for assistance. Failures may result from many causes: loss of electrical power or malfunctions in generators; broken seals, pumps or controls; clogs and more. Monitoring detects them all to alert us to problems and minimize downtime. Warranties We take personal responsibility for our work. It's the only way to do business! We warranty the parts and labor of anything we install for one year. We are insistent about doing our job right the first time and every time! 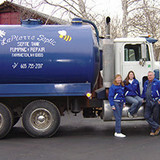 LaPierre Septic Service is a full-service septic cleaning business located in Farmington, NH. For over 35 years, our family-owned and operated septic pumping business has provided septic service to local residents and business owners at affordable rates. With years of experience, our friendly drivers and office staff are always ready to share their knowledge with our customers, to answer their questions, and to give them advice. 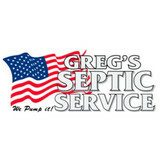 We will always provide a friendly, professional and customer-oriented septic service that meets your expectations and budget. M.D. 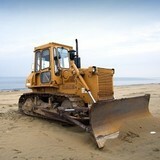 Tasker Construction is a full service excavating company for your residential or commercial project. Excavating projects include land clearing, foundation holes, septic systems and driveways. We also handle other projects such as building demolition, road grading and retaining walls. M.D. Tasker Construction has been pumping septic systems for the last 50 years as well. M.D. Tasker Construction is a small company that will give you personal service. We provide quality services for affordable prices. We are a small family owned business where the owner is on site every job we do. We try to solve problems with repair if possible then required installation if needed. For quality septic service you can trust, turn to the professionals at Arkie Rogers Septic Service. Located in Windham, Maine, we are a local, family-owned-and-operated company offering reliable septic service for residential and commercial properties. Whether you are in need of septic cleaning, installation, repairs, or full video pipe inspections, our team has the knowledge and experience to get the job done right the first time. We are proud to offer fast, friendly, and courteous service, and our skilled staff uses only the best equipment to ensure a job well done.